Posset is an historical dish - it even gets a mention in Shakespeare’s Macbeth - and the term has referred to a number of food types over the centuries. While it was traditionally considered a miraculous remedy for all sorts of illnesses, a pot of lemon posset nowadays will instead go a long way to curing your desire for a creamy dessert with a refreshing tang. Along with lemon juice the base for a simple lemon posset is sugar, cream and spices, so to prevent the richness of the dessert becoming too cloying it is often served alongside something dry, such as a biscuit. 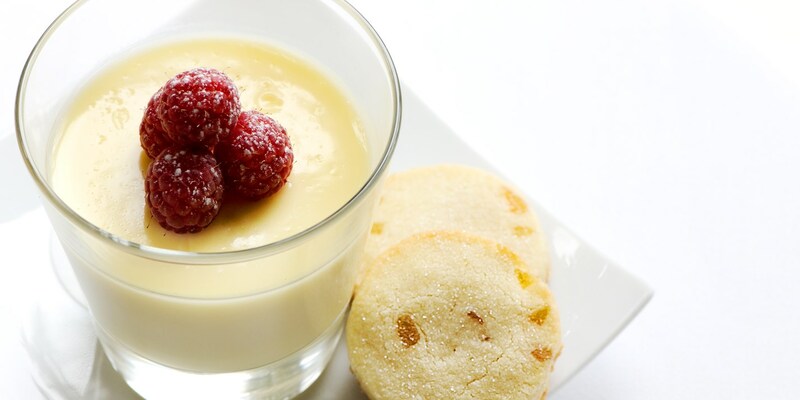 Matthew Tomkinson's Lemon posset with raspberries includes an easy shortbread recipe, while Josh Eggleton's Lemon dessert recipe combines posset with ginger snap biscuits and tea-soaked prunes.